If you and I are going to enjoy healing and rest at our very core, we must discover and discern the top 5% of life. 85% of what we do, anyone can do: checking e-mail, answering messages, attending meetings, reading the newspaper or journals and making simple decisions. These tasks do not require an elite expertise or specialized skill. Many of these tasks can be delegated to others so we can concentrate on what’s most important to the job we have been given to do. 10% of what we do, someone with a modicum of training should be able to accomplish. After all, if we were trained to do what we do, someone else of like capability could learn how to run the computer program, solve the problem, lead the meeting, or do the tasks that we do. With appropriate schooling and experience, someone else can perform a surgery, manage an engineering project or sell real estate. Certain aspects of these activities can be assigned to trained individuals. But the 5% of what I do, only I can do. This is the most important 5% for me. I can’t delegate these initiatives to anyone else. I can’t hire someone else to take my place in any of these activities because they require that I’m there. 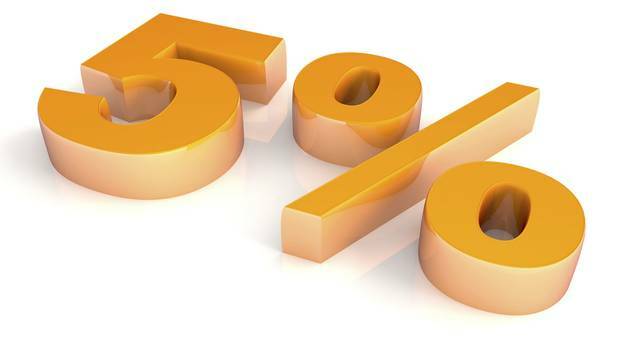 This 5% will determine the validity of the other 95%. This is what I had to discover and make as the epicenter of my life. My 5% may differ from yours, but the principle is transferable to everyone – married, single, widowed, old or young. It is true for those with children, empty nesters or young couples just starting out in life. I had to rethink what was most important to me – what God had asked me to do – and how I would restructure my life to concentrate on these priorities in my final stretch. I had to think what my last 5% would include. What were the things that only I could do and, if neglected, would affect the rest of my life. These 6 items require a daily investment of my time and heart. In fact, the condition of these 6 areas will, to a large extent, determine the state of my life. If these areas are compromised, the consequences will be felt in other areas. If this 5% fell into disrepair or neglect, my life would grind to a halt until these priorities were once again restored. The crucial 5% is what God will one day hold you accountable for. It will not necessarily be the 85% that will shape your future, or the 10% that will build your legacy. It may impress the world, it may burnish your resume, but it won’t impress God as much as that all-important 5%. Your choice of what is most important will shape your soul. We won’t be held accountable for how much we have done but for how much we have done of what He has asked us to do.